Steve O'Dwyer has led @GPI rankings for nearly all of 2016, but the WSOP may shake things up. Anthony Zinno, Fedor Holz, and Bryn Kenney are Steve O'Dwyer's nearest @GPI challengers at present. Each week, the Global Poker Index releases a list of the top tournament poker players in the world using a formula that takes into account a player’s results over six half-year periods. For a look at the entire list, visit the official GPI website. Here’s a look at the rankings as of June 1, 2016. The 2016 World Series of Poker is here, and Steve O’Dwyer is still the frontrunner in the Global Poker Index overall rankings, just as he’s been for nearly all of 2016. This marks O’Dwyer’s 21st-straight week on top, although with 69 WSOP bracelet events packed into this summer’s series, he’ll be fending off challenges from all directions going forward. Looking at the top 10, it remains largely the same from a week ago, with only David Peters inching up into the 10th spot as Connor Drinan slipped from No. 10 to No. 12. Interestingly, out of the current GPI top 10, only top-ranked O’Dwyer and current No. 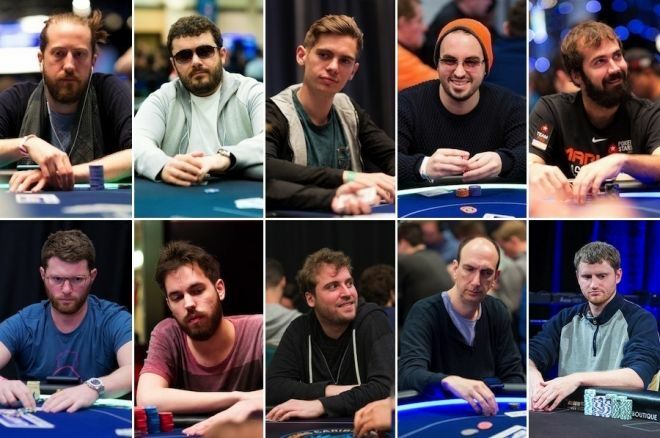 2 Anthony Zinno didn’t participate in the $300,000 buy-in 2016 Super High Roller Bowl, with the other eight all taking part. Eight players joined this week’s GPI top 300, with Xixiang Luo the highest-ranked among them after moving up from No. 353 to a career-best No. 250. Among Luo’s recent cashes was a fifth-place showing in the HK$100,000 buy-in Asia Pacific Poker Tour Macau High Roller last week won by Nan Tu. The other seven newcomers are all enjoying return trips to the GPI top 300. From that group, Fabrice Soulier was once ranked as high as No. 3 in the GPI (in July 2011). Luo’s jump into the top 300 earns the honors as well for biggest gainer this week, with Soulier also part of this list. Weiyi Zhang’s big move from No. 293 to No. 195 comes after cashing three times at the European Poker Tour Grand Final in Monaco (including winning one side event), then four more times in Macau at the recently completed APPT stop. None of those appearing on this week’s “Biggest Drops” list (that looks only at players still in the top 300) fell all that far this week, with Brian Green’s tumble from No. 177 to No. 213 being the biggest. Hans Winzeler is on this list for a second-straight week after slipping once again (from No. 117 to No. 146). By this time next week, more than a dozen events will have already been in action at the 2016 WSOP at the Rio All-Suite Hotel and Casino, with at least seven bracelets already awarded. As happens every summer, the GPI rankings will be in constant flux as results come in from the many WSOP events and other tournaments in Las Vegas, too. Meanwhile this week in Europe the German Championship of Poker has its festival over in Rozvadov, Czech Republic, the Italian Poker Open is in action in Campion d’Italia, Italy, and the PMU.fr World Poker Tour National Cannes series is playing out in Cannes, France. To view the GPI overall rankings in their entirety, visit the official GPI website. While you’re at it, follow the GPI on Twitter and its Facebook page.